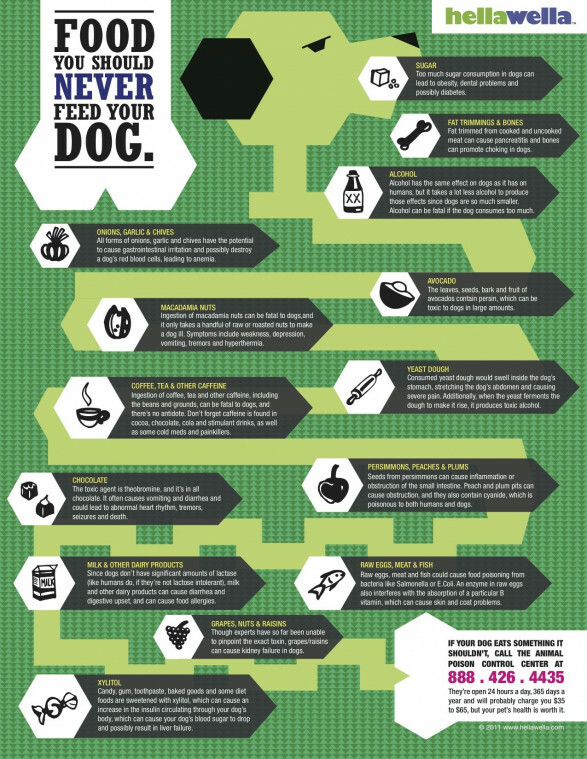 Last time, we posted about what to feed your puppy, mentioning that some foods are actually toxic to dogs. So this week, we’ll talk about what NOT to feed your new puppy. First, there are foods like sugar and alcohol that are bad for just about any species that might ingest them. Dogs, especially small ones, need much less than humans for harmful effects to take hold. Artificial sweetener Xylitol can be just as bad or even worse than traditional sugar. Other common foods that can cause health complications include dairy products, as well as raw eggs, meat and fish. Chocolate and coffee, which can usually be found somewhere in most homes, can have potentially deadly effects on your pup. Some foods that are actually considered healthy for humans may have the opposite effect when fed to a dog. Onions, garlic, and chives, for example, can lead to anemia, and avocados and macadamia nuts can be toxic, or even fatal, as well. The best course of action is to stick to dog food, and carefully research any other foods you let your puppy or dog taste. If you think a pet’s health is at risk after eating something bad, call the Animal Poison Control Center at 888-426-4435.